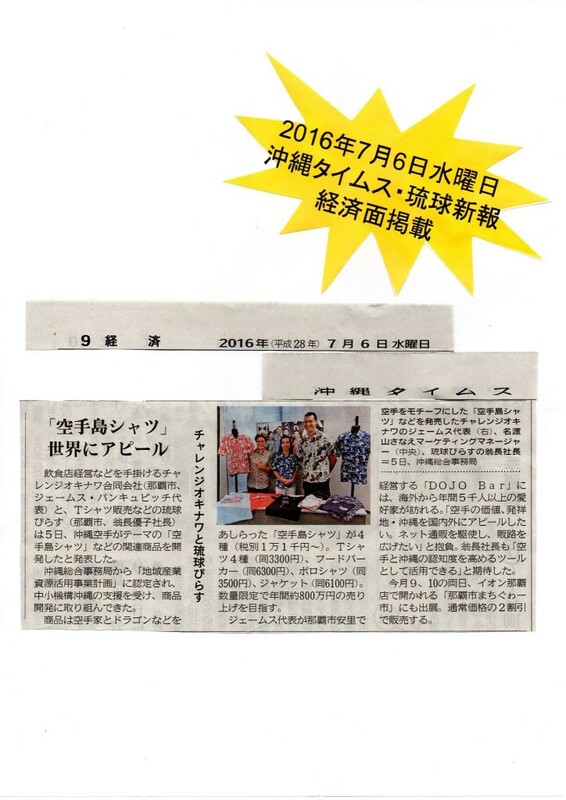 Our new Karate inspired clothing range was featured in several Okinawan newspapers and on the evening news last night. We have been getting a fantastic response locally and already the new shirts are being snapped up by local karateka (yes you will see some very well known Okinawan karate sensei wearing these!) and karate organisations including the new Karate Promotion Dept at Okinawa Prefecture who just bought 10 shirts for all their staff. Production is limited to just 500 shirts this year (just 100 of each of the 5 designs) so don’t miss out – order on our website (www.dojo-okinawa.com) or visit us at The DOJO Bar in Okinawa. 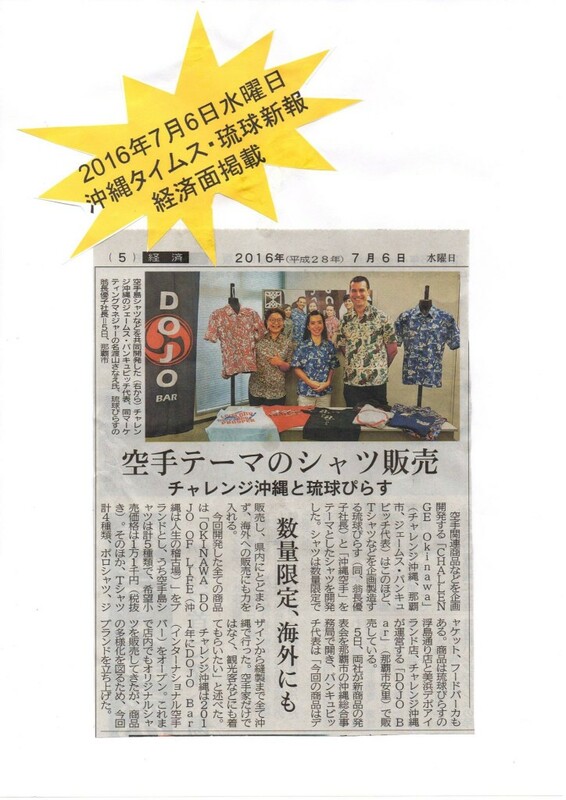 The Dojo Bar and Dojo Okinawa in The Okinawa Times. Click on the image to enlarge. 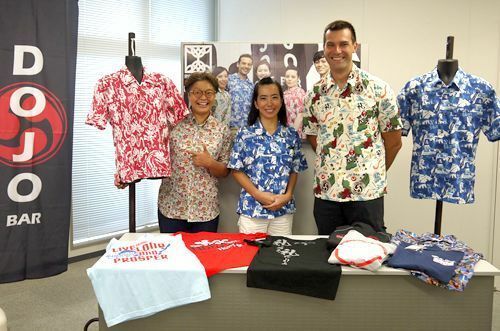 CHALLENGE Okinawa, which specializes in karate-related products and event production, together with T-shirt designing and production company Ryukyu Piras, have created an Okinawan karate-themed shirt. Shirts are being released in a limited quantity. The creators are promoting sales not only domestically but also internationally. All new products are parts of the “OKINAWA DOJO OF LIFE” brand collection. There are five types of karate shima (island) shirts. The suggested retail price for them is 11,000 yen (excluding tax). There are four types of T-shirts, polo shirts, jackets, and hoodies. 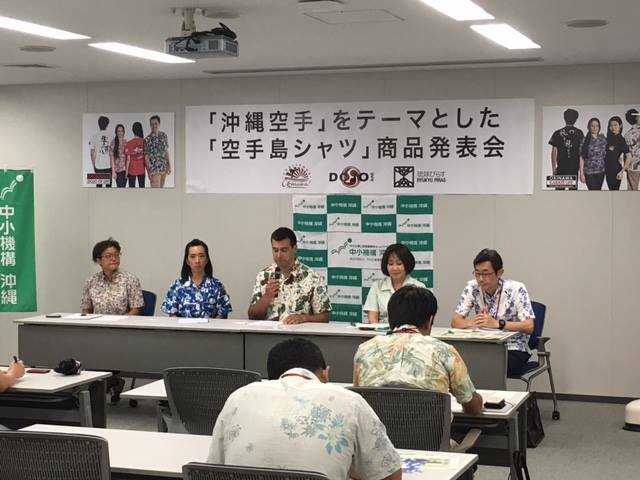 The products are sold at Ryukyu Piras Ukishimadori shop, Mihama Depot Island shop, and DOJO Bar, which is managed by CHALLENGE Okinawa. 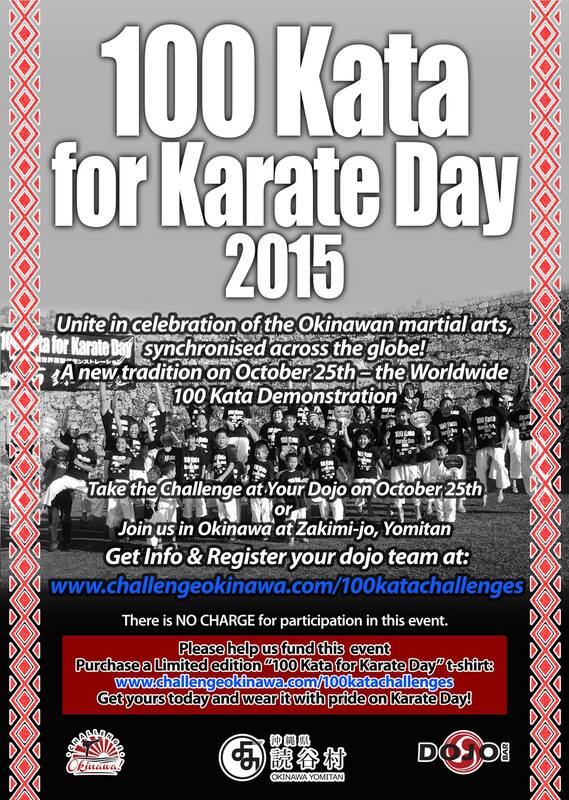 In 2011, CHALLENGE Okinawa opened an international karate bar or the DOJO Bar. While they have already been selling original shirts at the bar, they created a brand to diversify their products. It is with great delight and honour that the Yomitan Village will host the opening of the 100 Kata demonstration event on October 25th, 2014, Okinawa’s official Karate Day. The Yomitan area, well-known for its beautiful nature and its rich history in traditional arts and crafts is also the home place of the Okinawa Karate Seminar Center and a regular host of karate events taking place in Okinawa every year. The chosen location for the 100 Kata demonstration is Zakimi Castle, designated as a World Heritage Site which makes it particularly suitable for this worldwide event. 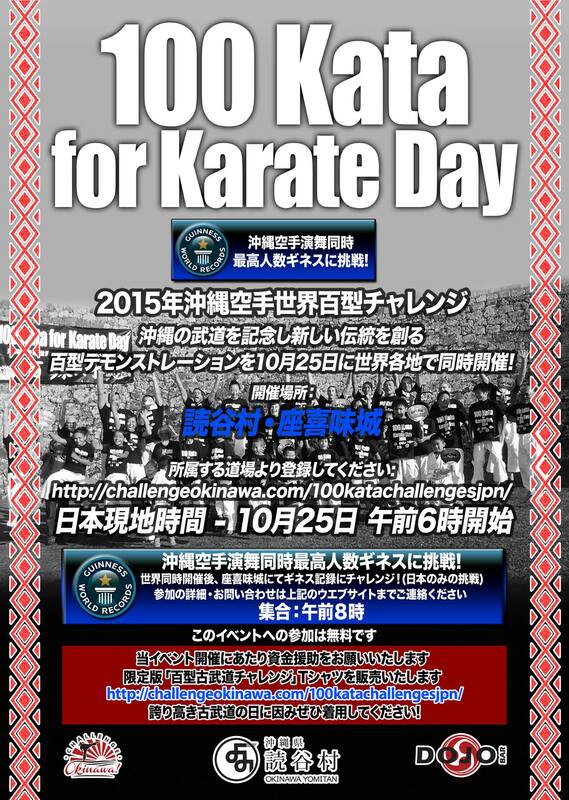 We offer our wholehearted support to the event and invite everyone to take part in this unique, new event on October 25th, Okinawa’s Karate Day for 2014!